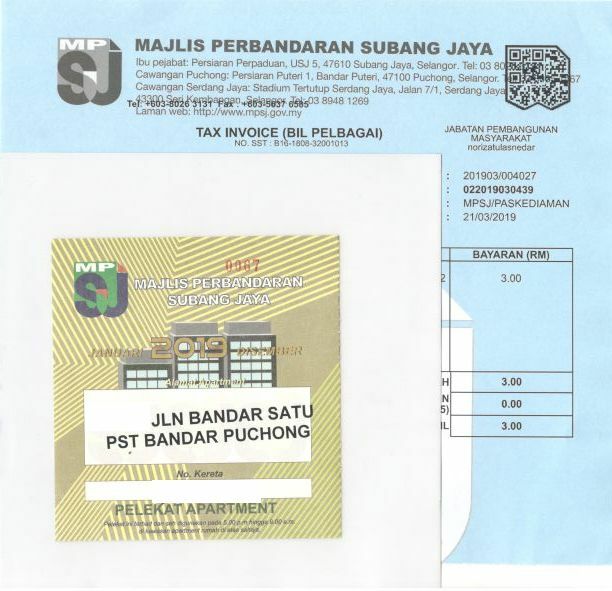 There is a friend recommend me go to apply this MPSJ parking sticker, as he mention is was for resident at Pusat Bandar Puchong. Therefore i had markdown this recommendation, and told myself better go to apply for this as it was benefit to me because my office is stated at this area. Today, I had execute my plan and paid for RM3 for the sticker application. Me: Puan, ini parking sticker pakai untuk apa ya? MPSJ Puan: Ini sticker pakai untuk parking dari waktu petang pukul 5 hingga pagi pukul 9. MPSJ Puan: Ya, malam hingga pagi. Me: malam hingga pagi ada pegawai datang untuk saman ke? What do you think? Is any one been saman from evening till early morning at this area? Appreciated if anyone could let me know, shall i spend my time by next year to renew this sticker or not.